Hunter is too good to not get to the top of the charts again. In 2012, Hunter Hayes shot to the top of the country charts with Wanted. He followed that up with two more big hit singles. It looked like this was the can’t miss kid. It was really cool because he played all the instruments on his debut album. It seemed like he did just about everything including the writing and some of the producing. Then Hunter’s career seemed to take a little detour. I thought the songs he was putting out were good. It was difficult to top those first songs, though. 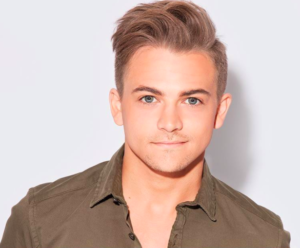 Hunter has been releasing new music, but hasn’t found that next hit. Here is his latest release. You have to think that if someone like Blake Shelton or Chris Young put this song out that it would shoot to the top of the radio charts. And a few years ago I would have included Hunter in that sentence. And I still think he can take a song like this to the top. It’s a pretty straight ahead love song. It’s about this guy that is in love and he’s really not afraid to express those feelings. He loves all the little things about his girl. And that’s always a cool realization and a good way to know that it’s probably true love. I don’t know what the future of this song will be. I think it should be a hit, but I guess that will be up to country listeners.